Mailback Systems vs. Container Pickup—What’s the Difference? If your industry produces medical waste, you need to know how to properly dispose of it. 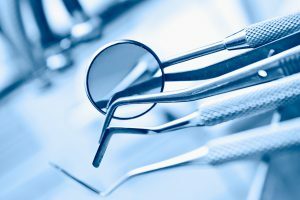 Dental offices, funeral homes, veterinarian offices, and other businesses all produce contaminated byproducts that need to be carefully disposed of. To make matters more complicated, different types of medical waste require different disposal practices and techniques. Any contaminated object that can puncture the skin needs to be placed in special sharps containers, and there are different rules when disposing of common vs. regulated medical waste. To make things easier, you have several options when choosing a medical disposal service. Here we explore a few of the best medical disposal options for businesses, and recommend options based on specific industries. Medical Waste Pros has professionals who understand the ins and outs of medical waste disposal. We offer several types of services designed to make the disposal of your contaminated materials easy. Two simple ways to dispose of medical waste are through a mailback system, or a container pickup process. Mailback systems are designed for smaller quantities of medical waste. Any type of medical waste—be it sharps, liquids or other materials—can be sent through the mail, but it must be properly separated and packaged according to Department of Transportation and United States Postal Service requirements before it is shipped. Mailback systems are most cost-effective for smaller quantities of waste as you eliminate the need for a truck to stop by your location and pick up your materials. To ensure the safety of your materials, disposal service providers will notify you to confirm the receipt of your materials. If you have large quantities of medical waste, mailback services can become pricey, but container pickup services offer a convenient solution. Waste disposal companies will provide you with containers sized to fit your needs. As your container(s) fill up, your disposal company will stop by your location, pick up your bins, and properly transport and dispose of the contents. Containers can be picked up at any time, whether you would like to schedule services in advance or call in on an as-needed basis. Which Disposal Service is Right for Me? There are several things to consider when determining which type of disposal service is best for your practice. First, estimate how much waste you generate. If you accumulate less than a few pounds of medical waste, a mailback service may work best for you, depending on the size and volume of this waste and how easy it is to package. If your amount of waste weighs more than a few pounds, consider a pickup service. Next, consider how often you accumulate waste. If you find that you need to dispose of materials regularly, you may find setting up a pre-scheduled service saves you time and hassle. If you don’t accumulate much waste over time, a one-time pickup service request should meet your needs. An additional factor that will affect how much waste you accumulate and how often you will require disposal services is the industry you are in. Depending on what industry your business is in, mailback or pickup services may better serve your needs. Typically, smaller practices that generate less waste benefit from mailback systems, while larger practices that generate a lot of waste find container pickup services to be more convenient. Employees are constantly exposed to biohazards and other potentially infectious materials, or OPIMs. For this reason, these employees must take great care performing their work and with their disposal practices. Because these organizations produce a diverse array of potentially infectious waste that needs to be sorted and packaged separately, container pickup services are recommended. Both mailback and pickup services work for dentists, depending on their amount of medical waste. The most common type of waste found in a dentist’s office is sharps, which require special containers that are provided by your disposal company. 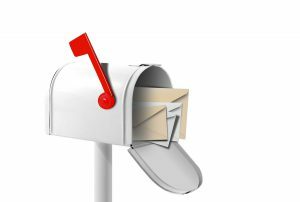 Newly established practices may benefit more from a mailback service, while older practices with more regular clients may prefer a pickup service. Mailback and pickup services can both be beneficial—it simply depends on the volume of waste that needs to be disposed of. This industry is mostly disposing of expired medications, and a few bottles can easily be shipped for disposal. But if your pharmacy disposes of hundreds of bottles of medications monthly, a container pickup service could be a better fit. This industry doesn’t necessarily create much medical waste, so these types of organizations benefit most from mailback services. Medical waste found in nursing homes typically includes sharps, medical gloves, bandages, any contaminated sheets, and more. Your company may not fall under one of the above industries, but if your home or business generates any amount of infectious waste it’s important to properly dispose of it to protect yourself, your employees, and the environment. Medical Waste Pros has a network of local contractors who can support your disposal needs. Get Free Quotes on Mailback and Container Pickup Services Today! No matter how much medical waste you have, it needs to be disposed of properly and in accordance with all federal and state laws. Medical Waste Pros will connect you with local disposal service providers who are up-to-date on all of the current medical waste regulations in your area. For free quotes on either mailback services or container pickup services in your area, call us at (888) 755-6370 or fill out the form on the right. Let us help your practice stay on top of cleanup so you can focus on your main job.